Bolt, Uber and Little are 3 taxi hailing services that fully operate in East Africa and Ugandan in particular, But here is a taste of what they offer! The ride-hailing industry is one of the fast developing sectors in the world that are relying on technology to impact the lives of end users. As social media continues to erupt new developments to a juncture where Facebook is joining the crypto world. 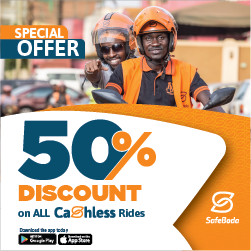 The ride-hailing industry is one promising field ruled by Uber and Bolt across continents where hailing cabs are the much popular means as SafeBoda beats the 2 in Boda hailing zones. Well, between Bolt Taxi, Uber X series and Little cab, which is the most reliable service to use? or even where do low trip rates lie? If you’ve had any of these questions, then worry not we have Uber in the blue corner, Bolt in the green one as Little cab streams from the Yellow side. All 3 taxi hailing services, Uber, Bolt, and Little cab have different price estimations depending on the distance covered encompassed to the current traffic situations. In Africa, all 3 services hike prices during on-peak hours and times when riders are beyond the maximum rate. So, the cost per trip is usually not static but instead calculated basing on these native figures per hailing service. In this digital age, every successful technology based platform is using an app to make things happen. It’s to this same craze that all taxi-hailing services ship apps for both riders and drivers. As a matter of fact, having an app is the first step towards maximum reliability for all riders relying on the service, even when Uber and Little allow you to ride without a smartphone. It’s important to realize that even with a bullish name in the ride-hailing industry, you can’t trust a hailing service until you taste its fruits with a quick ride. So, we tried taking trips with Uber, Bolt, and Little for a sum of results about their reliability. Luckily, all 3 services are more of the same as per the driver response rates to the time used by the app to notify a nearby driver. However, reliability of the services changes during on-peak hours where getting a driver becomes a hectic trap with less responses in time. On the other hand, Bolt has 3 hailing options as Uber follows with 2 and Little with 1. Bolt Taxi, Bolt XL and Bolt Go are those packed to the former Taxify branded app as Uber drags Uber X and XL as its Taxi hailing options while Little features only 1 option branded as Basic to its app. So, Bolt gives you more choices as Little gives you all the choices in one package without phrasing car types. A great service is ranked by its trip costs, reliability and support response rate. In the Taxi hailing zone, we tried contacting customer lines of the 3 services and Uber was much responsive as compared to the remaining 2 services. In a like manner, Little cab as well shuffles up with the best rates during on-peak hours but loses to Uber due to its high Minimum fare of UGX 4500. More so, only Uber and Little allow riders to request trips without necessarily having an app leaving Bolt out of the equation. In fact, this saves alot of space since you can choose to always rely on your phone browser to request trips instead of downloading a hailing app. In summary, if you’re to compare the 3 popular services in Africa, you can barely skip the lines of Uber which beats Little by only having multiple hailing options of Uber X, XL, and Uber Boda coupled with a pile of rider benefits like Insurance on the Go. Other than that, Uber still rules as that low trip rates service beating its 2 competitors with only a minimum fare ditch to Little and reliability to Bolt.